It is compulsory for farmers availing crop loans for notified crops in notified areas and voluntary for non-lonee farmers. Premium rate – There is no capping in premium and one premium rate on pan-India basis. It is 1.5%, 2% and 5% for all Rabi, Kharif and annual horticultural/commercialcrops, respectively. There is no upper limit on the government subsidy i.e the difference between premiumand insurance charges paid by the farmer. Losses covered – Non-Preventable risk such as Natural Fire, Storm, Hailstorm, Cyclone and Inundation has also been included as a localized calamity. Post-Harvest losses also covered. Use of Remote Sensing Technology, Smart phones & Drones for quick estimation of croplosses to ensure early settlement of claims. It is a pan-India electronic trading portal which networks the existing APMC mandis tocreate a unified national market for agricultural commodities. Soil Testing Laboratories Available in the Mandisit-self. It is launched to enhance the production of Rice, Wheat, Pulses, Coarse Cereals and commercial crops (Cotton, jute and Sugarcane). (Note – National Food Security Act is different from the Mission and the act is administered by the Ministry of Consumer Affairs). End to end solution on source creation, distribution, management, field application and extension activities. Accelerated Irrigation Benefit Programme (AIBP) – Ministry of Water Resources, River Development & Ganga Rejuvenation (MoWR,RD&GR). Integrated Watershed Management Programme (IWMP) – Department of Land Resources (DoLR), Ministry of Rural Development. On Farm Water Management (OFWM) – Department of Agriculture and Cooperation(DAC). Implementation – Decent ralised manner through State Irrigation Plan and District Irrigation Plan. Its aims to make farmers self-reliant by use of climate resilient agricultural technologies and management of natural and man made resources for sustaining agriculture in theera of climate change. Sponsored competitive research to fill critical gaps. The scheme aims to support new ventures in agro-based industries and to promote the farmer producer organisations (FPOs) and their integration in agriculture value chain. SFAC gives Venture Capital Assistance and Project Development Facility to supports the new ventures in agro based industries. Beneficiaries: Individuals, farmers, producer groups, partnership, propriety firms, Self Help Groups and companies etc. KrishiVigyanKendras (KVKs) are agricultural extension centers created by ICAR to providevarious types of farm support to the agricultural sector. It is created to serve as a single window mechanism for addressing the technology needs of farmers and acts as a link among researchers, extension functionaries like NGOs and farmers. The farm support includes farm advisory service including climate resilient technologies,training programme for NGOs and front line demonstration and on Farm testing. KVK operates under the administrative control of State Agricultural University(SAU) or central institute. The scheme envisages scientists to select villages and provide information to the farmerson technical and other related aspects. It includes scientist functioning at the various centers and institutes of the Indian Council of Agriculture Research (ICAR) and working with state agricultural universities. They may function with the help of KVKs and Agriculture Technology Management Agency(ATMA). 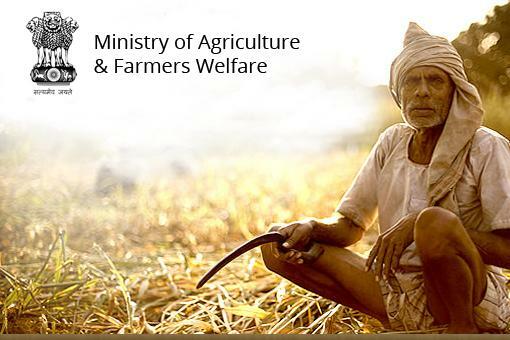 It incentives states to enhance investments in Agriculture and Allied sectors to achieve 4% growth rate. It is a State Plan scheme with 100% Centrally Sponsored Scheme. The allocations are based up on the State plan expenditure for Agricultural sectors which is determined based on the average expenditure incurred by the State Government duringthe three years prior to the previous year. The preparation of the District and State Agriculture Plans is mandatory and encourages convergence with other programmes such as NREGS. It was launched to promote agricultural education. Under the scheme 100 centres are opened with a fund of Rs.5.35 crore. Attracting and retaining youth in Agriculture (ARYA) is a project sanctioned by the Indian Council of Agriculture (ICAR) and is being implemented at Krishi Vigyan Kendra (KVKs). The main objective of the project was to provide complete knowledge and skill on processing,value addition and marketing of coconut and banana products through capacity buildingprogrammes involving research and development organizations. Seeking to end Foot & Mouth Disease (FMD) — one of the most devastating contagious viral animal diseases affecting all susceptible cloven-footed animals from India. The agriculture ministryhas conceived a ‘FMD Mukta Bharat’ (FMD Free India) programme to cover all the states. Sixteen states and one Union Territory (UT) are yet to be covered under intensive FMD vaccination. FMD vaccination in these states and UT will be taken up under RashtriyaKrishiVikasYojana (RKVY). In order to prevent the economic losses arising due to Foot and Mouth Disease, a location specific programme called ‘Foot and Mouth Disease Control Programme (FMD-CP)‘is under implementation since 10th Plan Period. Gradually, the FMD-CP was expanded during 11th & 12th Plan Period. As of now, it covers 351 districts in 13 states and 6 UTs. Foot-and-mouth disease is an infectious and sometimes fatal viral disease that affects cloven-hoofed animals, including domestic and wild bovids. It is highly infectious and can be spread by infected animals through aerosols, through contact with contaminated farming equipment, vehicles, clothing, or feed, and by domestic and wild predators. Susceptible animals include cattle, water buffalo, sheep, goats, pigs, antelope, deer, and bison. The virus responsible for the disease is a picornavirus, the prototypic member of the genus Aphthovirus. The virus is genetically highly variable, which limits the effectiveness of vaccination. Humans can be infected with foot-and-mouth disease through contact with infected animals, but this is extremely rare. Because the virus that causes FMD is sensitive to stomach acid, it cannot spread to humans via consumption of infected meat, except in the mouth before the meat is swallowed.